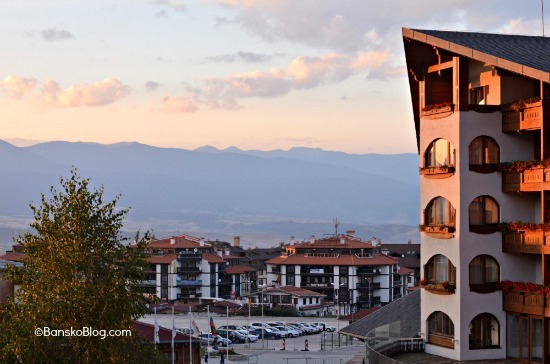 The Grand Arena Hotel Kempinksi in Bansko is a landmark building representing a modern Bansko. Its scale, its roof line and woodwork reflect an architecture that is more sympathetic that many of the other new buildings. 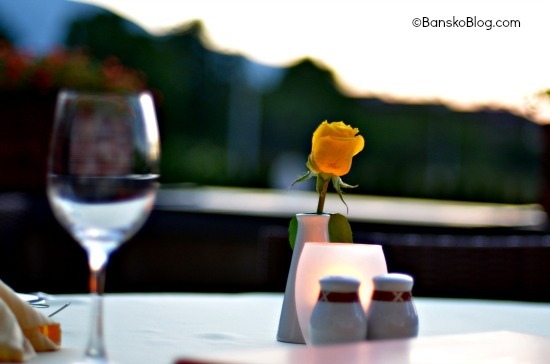 Due it’s location and five star status, The Kempinski Grand Arena Bansko plays a flagship role in the fortunes of Bansko. It retains a place in my mind as the start of a new Bansko. Full Disclosure. 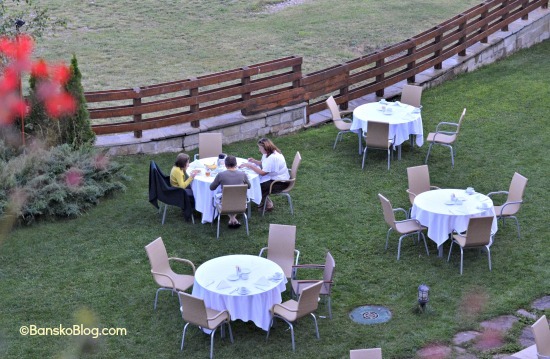 This is a sponsored post and the Kempinski Grand Arena sponsor Bansko Blog. I never recommend anything that I have not experienced, and liked. Take all this into account when reading. On entering the reception area there is an alpine feel. However a Bansko regular, with whom I was to on our free hiking session, said it reminded him of Scottish shooting lodge. Mounted stag heads in a stately home setting. I would agree with that — or at least my expectations of a Scottish shooting lodge might look like. A comfortable lobby bar area. Lounge fabric chairs. Mellow music. A convivial place to have a drink whilst checking the photos. Prices: 5lv small beer, 12 lv margarita cocktail. The Nikon 5100 with a 50mm, 1.4, Nikkor fixed focal lens is my tool to take advantage of the fine evening and morning light here. 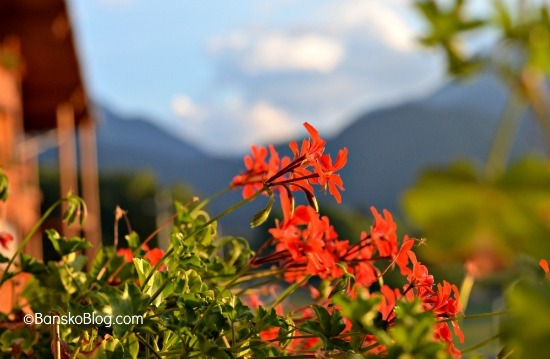 Manual focus and manual camera settings. I took a look at a second floor room with a which was numbered 421. I was here to take a few snaps; but also to see how five star this Kempinski really is. Only two comments… the towels had worn a little thin and were just starting to fray. A cracked tile high up behind the shower fitting in the bath. These were minor blemishes. This was a hotel room that would make most people feel instantly relaxed. On this summer’s evening I was here for the views — it was the soft outside evening light I was after. 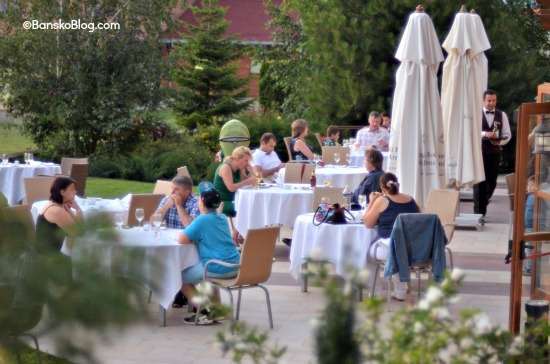 Guests of the hotel have free Spa, but in summer outsiders can gain entry for 30 leva per person. Two outdoor swimming pools and one indoor pool looked good. An outdoor and indoor jacuzzi along with the usual steam, sauna and treatment rooms. I was hoping to take some pictures of people playing tennis but there was no one playing. I mention this, as this maybe because the court fee is 30 lv per hour. 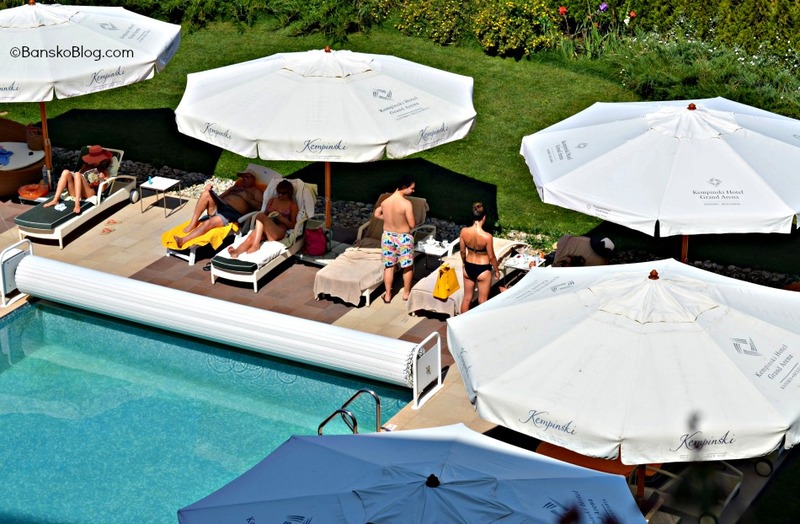 Should you be visiting the Kempinski as a day visitor and paying entry to a Spa, this all adds up to a level that may discourage people to come here and play. So as I like tennis, I think there’s scope to encourage more tennis activity with lower court fee for users of the Spa / swimming pool facilities. The outdoor bar area looks especially inviting in the evening. With a special occasion to celebrate, the fixed price restaurant menu. The outdoor dining, warm evening with cooling air starting to descend the mountain (a katabatic breeze) made for a memorable experience. Our meal was great, but I must add that winter dining here is good. Take a look at my review of the Teppanyaki Bar & Grill restaurant. Frankly, the views of the Pirin are pretty much unbeatable. The Kempinski view takes in all the ski area and the Vihren peak. Looking more north west the Rila looked great calming and serene in the distance. I think few people would be unhappy with a stay here. It’s a calming environment, the mountain air works its magic. 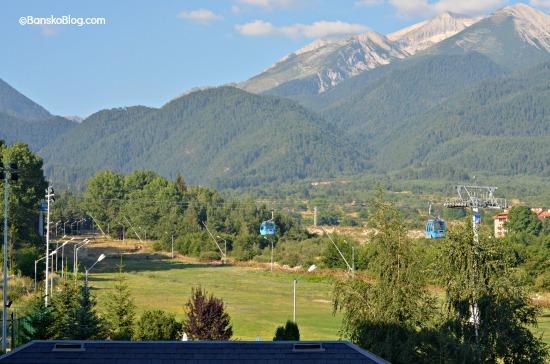 Summer is a fine time for Bansko. 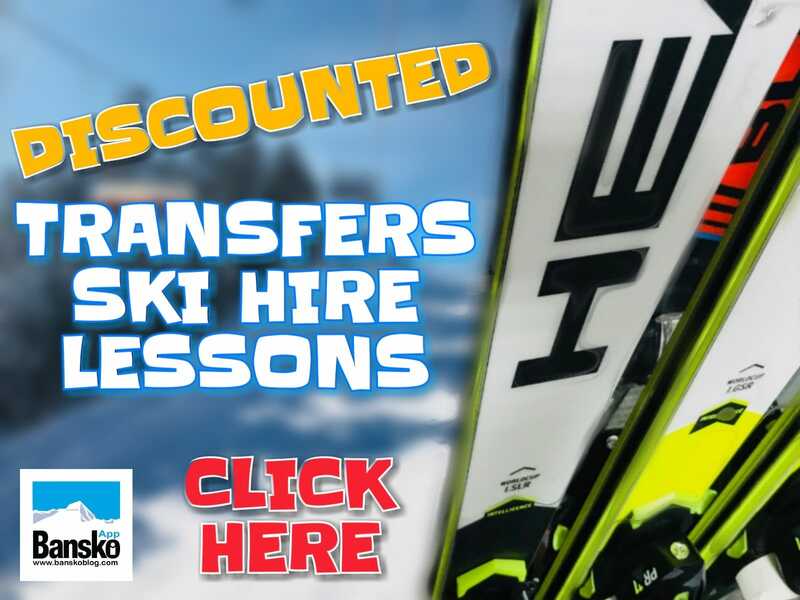 Want to know more for both summer and winter? 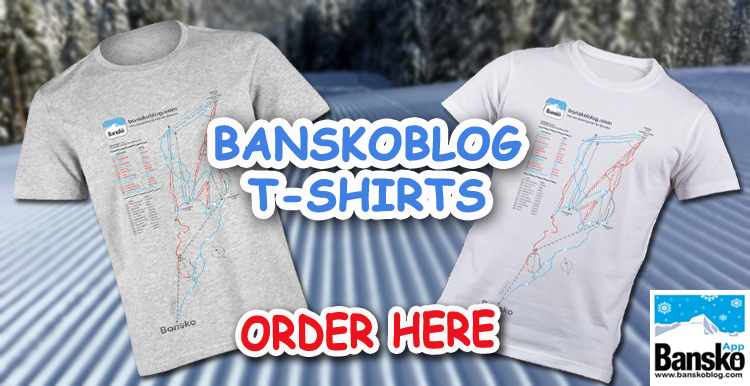 Then Subscribe to be notified of events or download the Bansko app for iphone and android mobile devices. 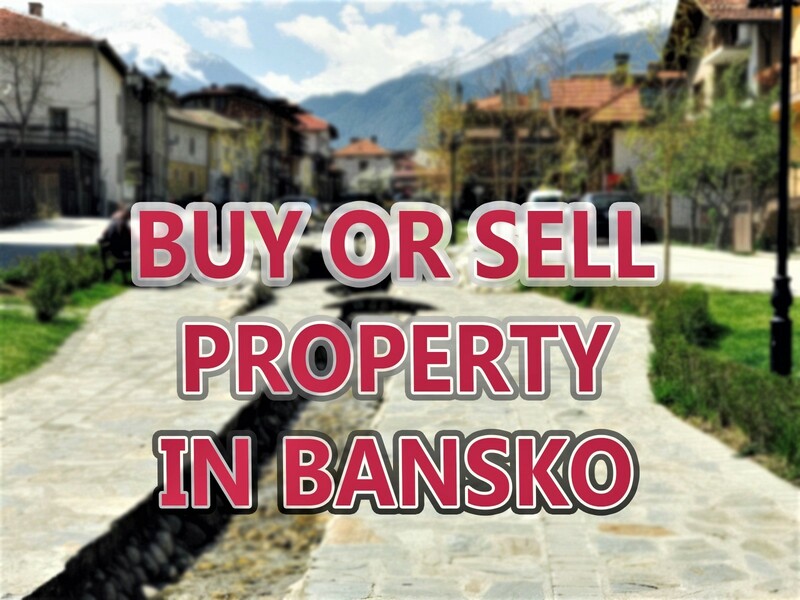 You’ll also receive my completely updated “The Essential Guide to Bansko” absolutely for free.